Facebook has launched a new feature that aims to boost content consumption on the social network. 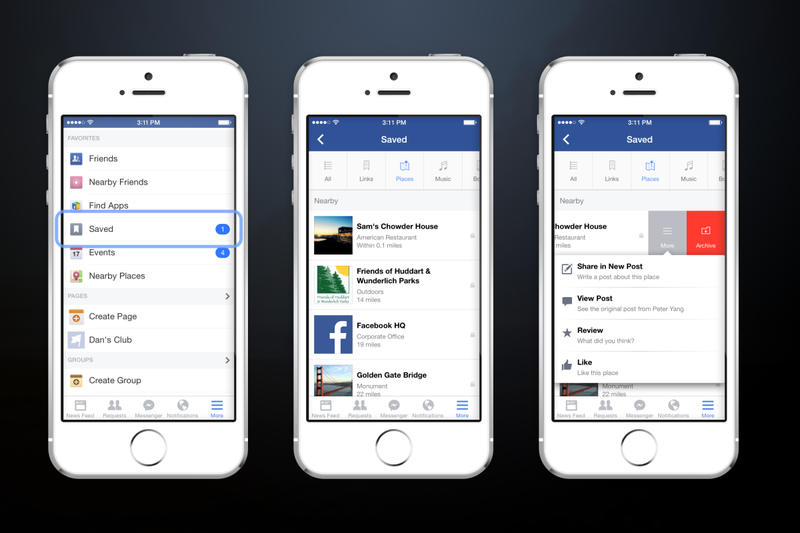 The feature, dubbed Save, enables users to save items that they find on Facebook for viewing at a later time. Through the feature, users have the ability to save items like links, places, movies, TV and music. Moreover, the items that users save are kept private unless the user decides to share the content with their friends. To view saved items, users simply need to visit the “More” tab on their mobile device or click the link on the left hand side of Facebook on the Web. Saved items are organized by category, and users have the ability to swipe right to share the item with their friends or move the item to their archive list. This feature should prove to be useful for consumers and brands alike, as it will enable consumers to revisit content that they may have otherwise put on the back burner and ended up forgetting to come back to. For brands, Save means more of their content is likely to be read. According to Facebook, Save will be rolling out on the Web as well as on iOS and Android devices over the next few days.